PRECO STROBE LIGHTS - For more than 20 years, Bylong Industries has proudly distributed the Preco range of back-up alarms and warning lights throughout Australia. Preco is known throughout the world as a brand synonymous with world-class design, innovation and high quality vehicle warning products. BYLONG STROBE LIGHTS - Bylong Industries have just released a new range of budget strobes. 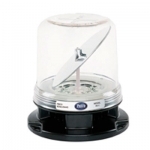 Our range of vehicle safety lighting is a good quality, durable option for all applications.